We’re back in the factory this week after a fantastic week in New York. We were exhibiting at BDNY at the Javits Centre in Manhattan, a trade show designed for the hospitality design industry with particular focus on hotel, restaurant and bar design. We were absolutely delighted to win the award for best fabric in show as part of BDNY’s annual product awards for our Faded Grandeur Design! There were 11 awards categories from Architectural Materials to Lighting, see all the winners at https://www.bdny.com/bestofbdny-winners. This was unknown territory for us, we have not actively pursued this sector in the UK as of yet and had considerable work to do ahead of the show to make sure we can comply with the strict fire retardancy standards for commercial premises in the U.S.
At the beginning of the show we were completely unknown to pretty much all the visitors but after a couple of days at the show we are starting to make waves in America. We met some fantastic designers and decision makers from global companies such as the Marriot and Remington Hotels. It was also lovely to meet some designers we have connected with on social media such as talented NYC based interior designer Amy Kalikow. We are looking forward to working with the creatives we met and will be back in NYC very soon. 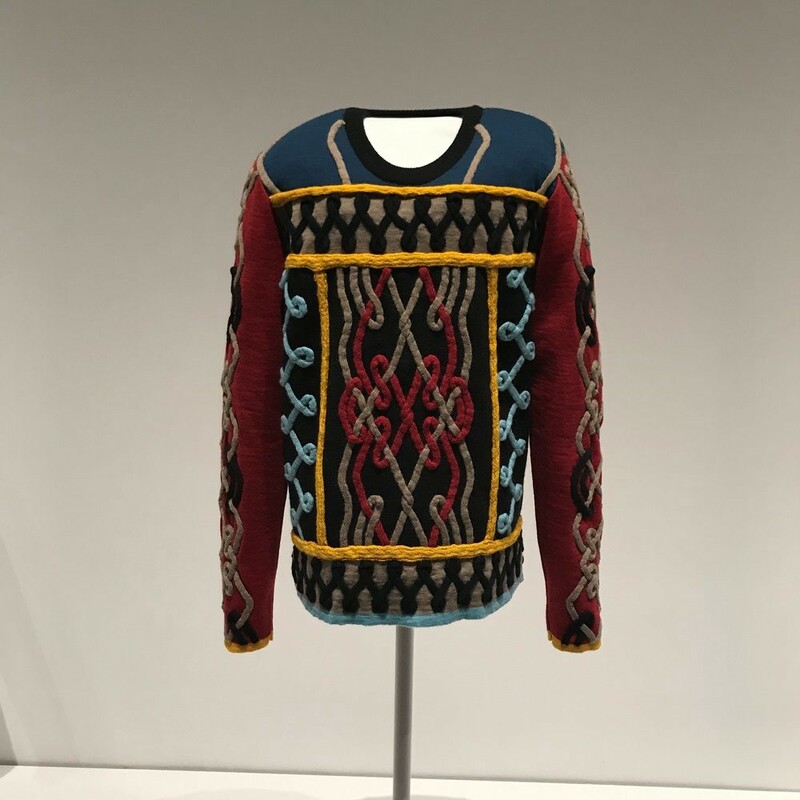 Other highlights of the trip included visiting MoMA, particularly loving the ‘Is Fashion Modern?’ exhibition tracking items that have had a huge impact on fashion from Adidas basketball trainers and baseball caps to ‘the little black dress’ as well as items commissioned especially for the exhibition, our favourite of these being Laduma Ngxokolo’s take on an Aran Sweater. So many other highlights including early 20th century work from Matisse, Picasso, Braque and Robert Delauney, 60’s work from Lichenstein and Warhol and the Max Ernst exhibition was captivating . A must visit for New York is The Dead Rabbit in South Ferry, a cocktail bar newly opened by Sean Muldoon, the genius responsible for setting up the fantastic and award winning Merchant Cocktail bar in Belfast. The Dead Rabbit manages to fuse beautiful contemporary drinks, refined bar food, downtown Manhattan meets Irish Country interior and live traditional Irish music to create an amazing venue over 3 floors that still feels like an Irish pub but is so much more fitting for the 21st century.